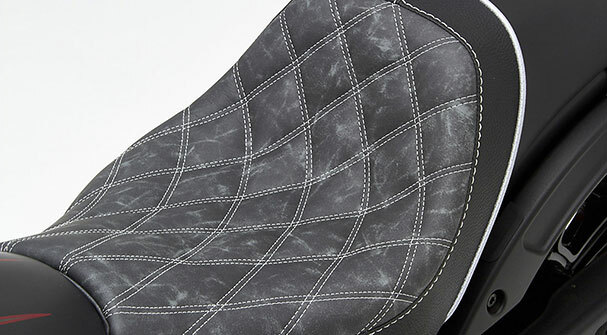 50 years of Corbin seat design and groundbreaking innovation! CORBIN HAS DONE IT AGAIN! 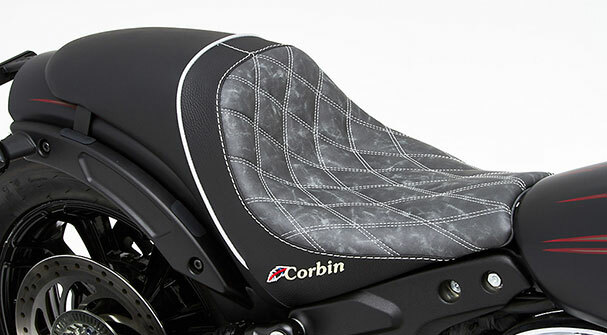 Most will recognize the design of this seat as the original Corbin concept from 1982 that we called the Gunfighter, though in this case the Trademark seems somehow inappropriate. 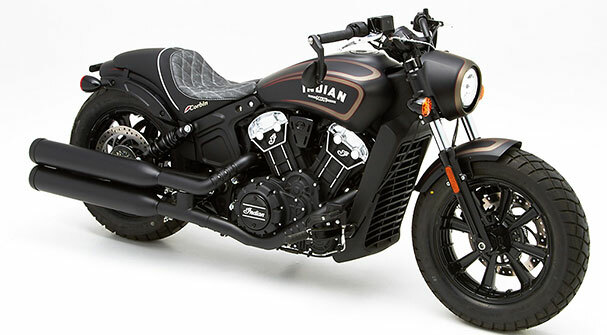 With that in mind, we are proud to introduce the Indian Brave saddle! 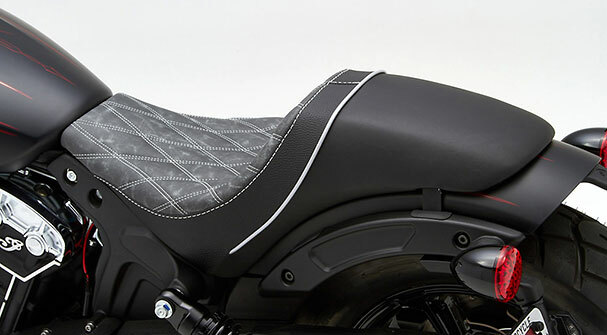 This is one of the most recognized and revolutionary seat models of all time. Often duplicated yet nobody has ever managed to match the perfected lines, clean fit and brilliant tailoring of the Corbin saddle. Plus it's very comfortable for the rider and provides for short trip passengers too. Although on the Bobber, you would need to get yourself setup with some passenger pegs if you want a copilot. 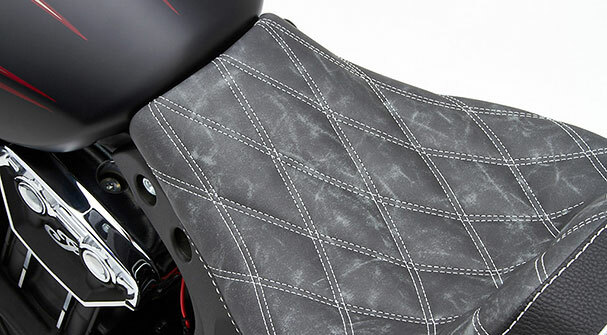 The Brave saddle combines excellent rider support and a fast look for your Indian. 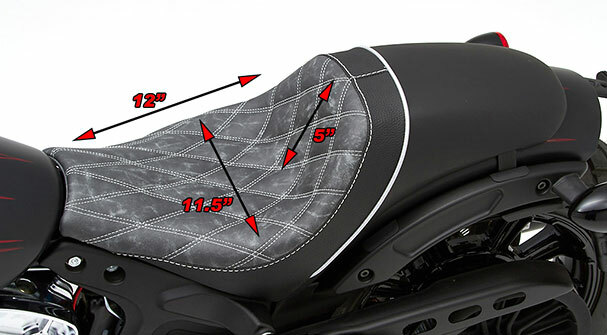 Up front an ergonomically contoured saddle provides a large area of body contact for best weight dispersion. 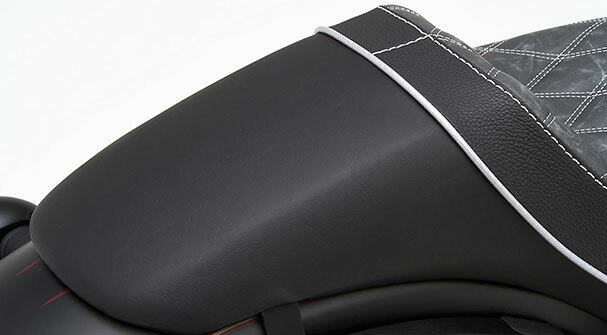 Our fastback tail section is padded and upholstered to provide for passengers while providing the rider with additional lower back support. In fact, this saddle offers a full five inches of vertical support with more square inches of ergonomically shaped body contact area!